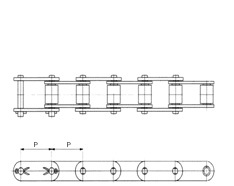 Double-pitch transmission roller chains are used in transmissions with a great center-to-center distance as well as in ones with a low circumferential speed and with sprockets having major diameter. 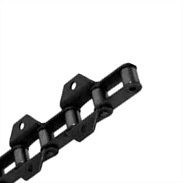 Double-pitch chains are based on transmission roller chains. The main difference consists in the doubled step. The working load of these chains is lower than that of the standard ones which possess the same step.